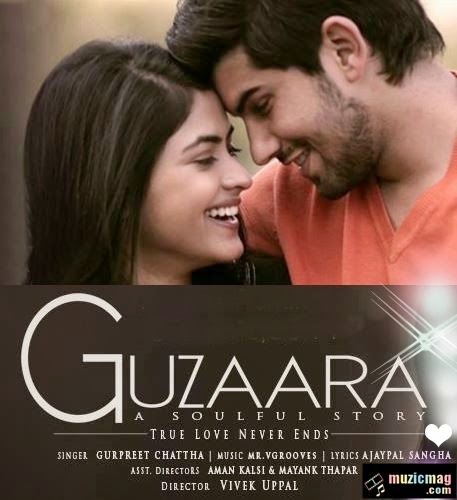 Guzaara Lyrics & Video - Gurpreet Chattha Ft Mr. VGrooves, Guzaara is a single track by Gurpreet Chattha (Mitti Pind Di Fame), Composed by Mr. VGrooves, a soulful story with theme 'True Love Never Ends'. Guzaara Lyrics & Video - Gurpreet Chattha Ft Mr. VGrooves: Guzaara is a single track in the vocals of Gurpreet Chattha (Mitti Pind Di Fame). It is a soulful story with theme 'True Love Never Ends' starring VGrooves and Simi Chahal in video. Music of the song is composed by Mr. VGrooves while the lyrics are penned by Ajaypal Sangha. Video of the song is directed by Vivek Uppal (Real Name of Mr. VGrooves). Morhi'n Na Modin Na Sajjna..
Morhi'n Na Modin Na Sajna..